First of all, peel the cucumber. Generally in Greek cooking, cucumbers are not served with the skin. It is considered to be bitter and difficult to digest. 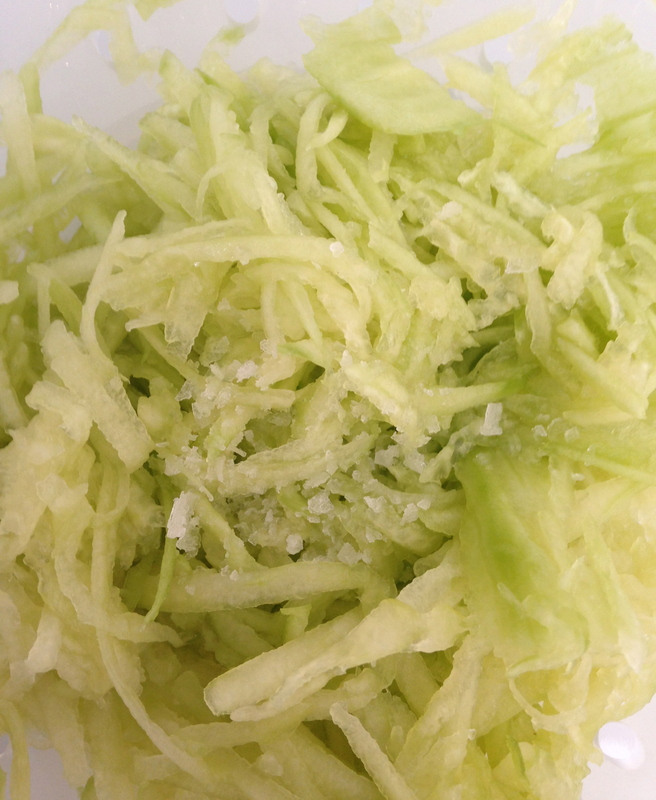 Next with a coarse grater, grate the cucumber into a colander. Sprinkle with a little salt and leave to one side for about 30 minutes. 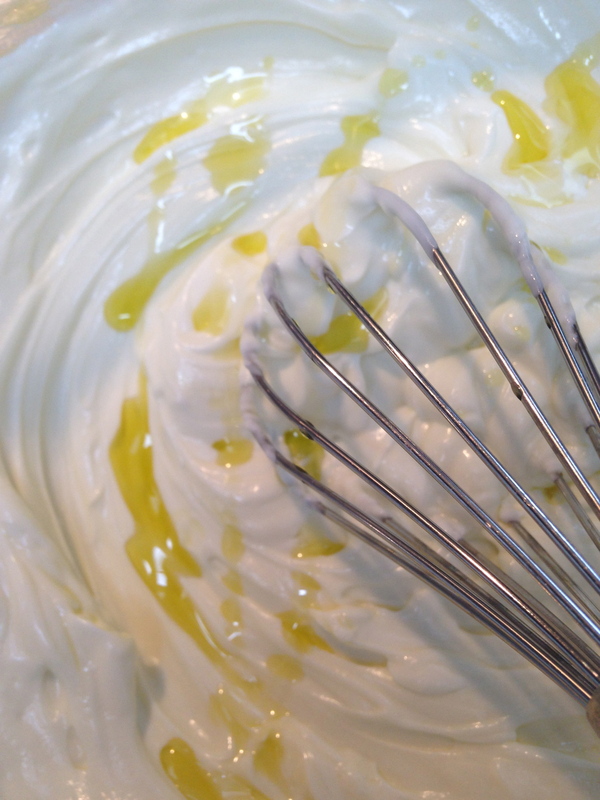 Put the yoghurt into a medium sized mixing bowl, beat in the olive oil and then the crushed garlic. Now take the cucumber and either with your hands or in a clean tea towel, squeeze out as much water as you can. 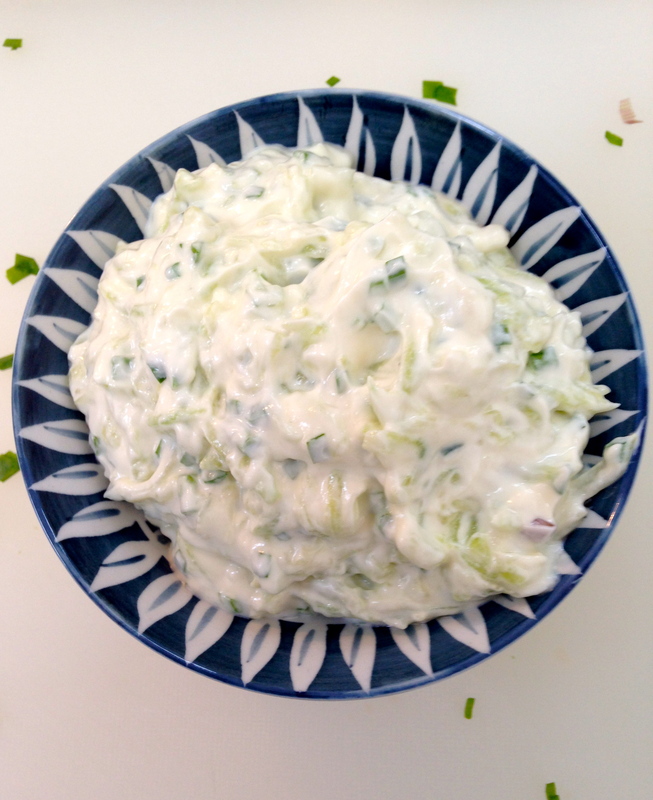 Now stir the squeezed,grated cucumber into the yoghurt. Put into a serving bowl and serve.